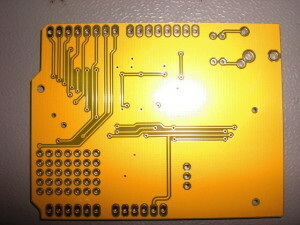 Designing, making and having PCB’s made. 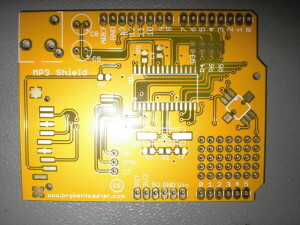 I just got a batch of PCB’s in from MakePCB : 25 Arduino MP3 shields. The design is from brokentoster. 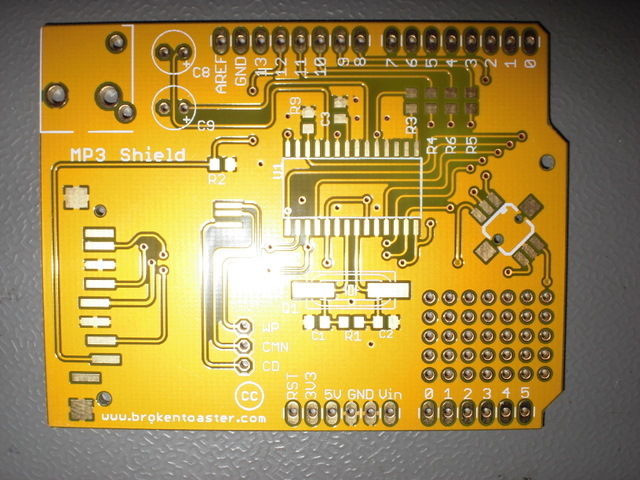 I have tweaked the layout a little to allow for larger tolerances. 12 mil minimal trace width and 12 mil minimal clearance. 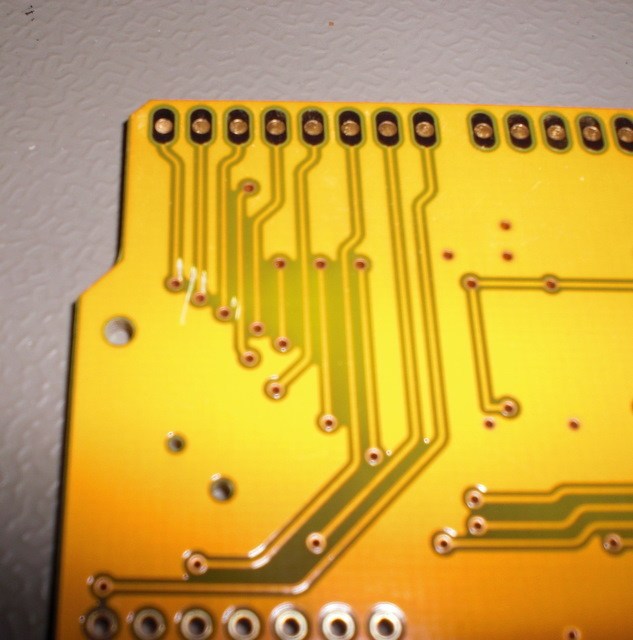 I wanted to try something new and chose a yellow solder-mask. The white is still readable. I suspect the color did cause a little delay. 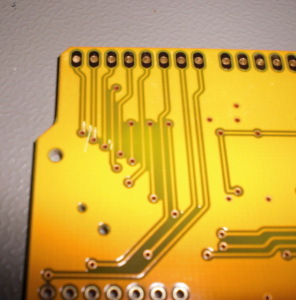 As mentioned earlier, MakePCB does not communicate very well. They use 3rd party website to keep you posted on the status of your delivery. This delivery seems to be stuck on “in production”. 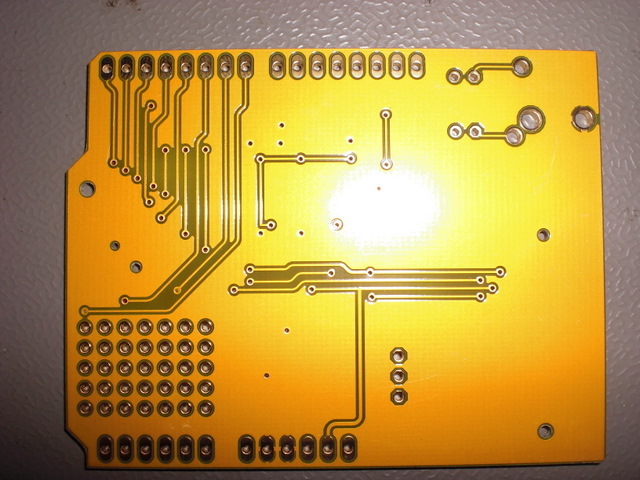 Rework done on one board in 25. Other than that, the boards are fine and the price is hard to beat.